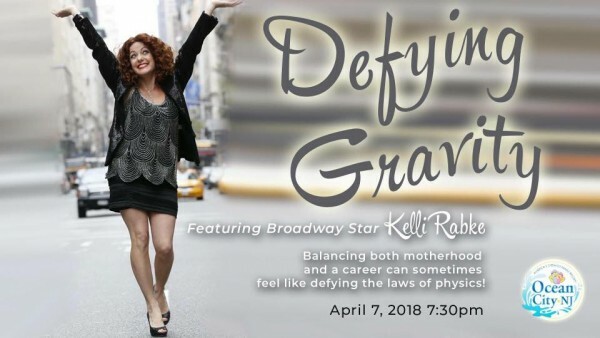 It’s time to put yourself first! 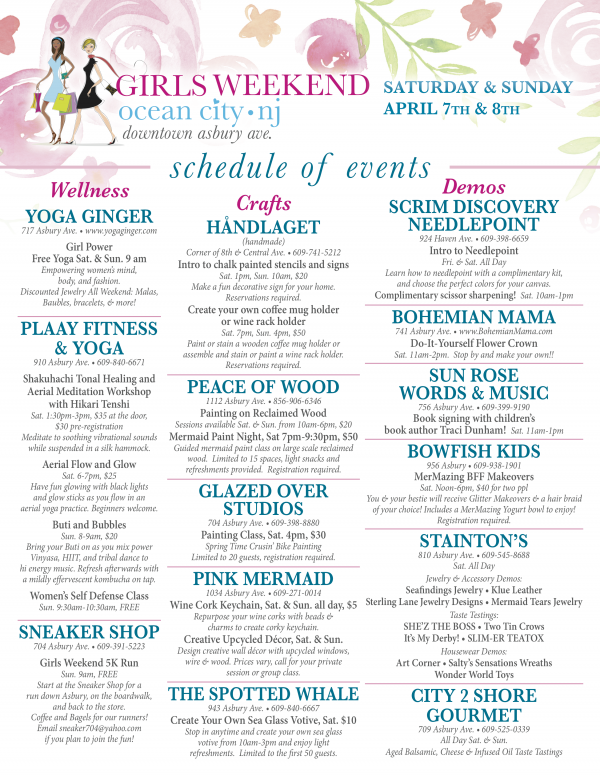 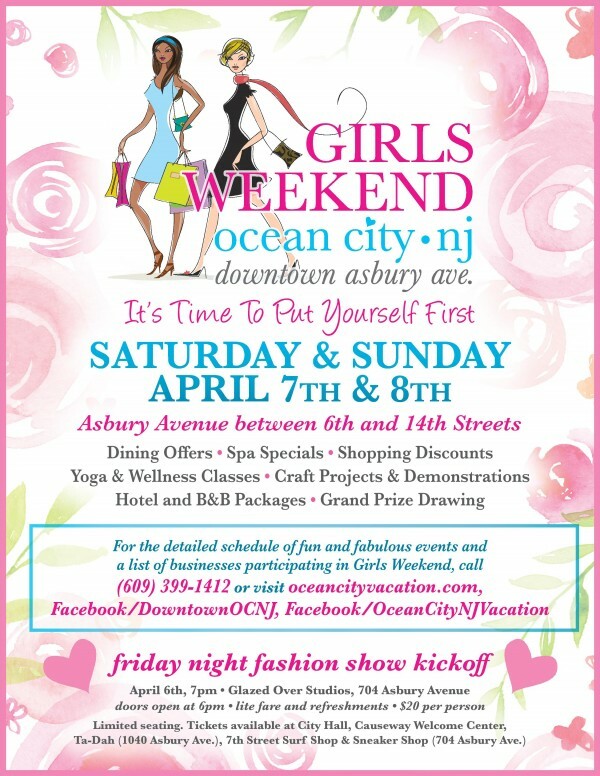 Girls Weekend Downtown on Asbury Avenue between 6th and 14th Streets will take place on Saturday & Sunday, April 7th & 8th! 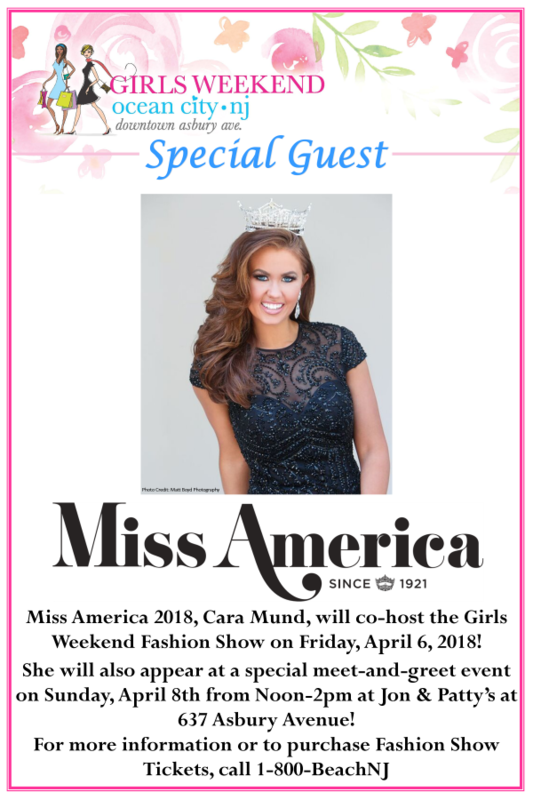 A Fashion Show kick-off event will take place on Friday, April 6th, 2018 at Glazed Over Studios & The Sneaker Shop located at 704 Asbury Avenue. 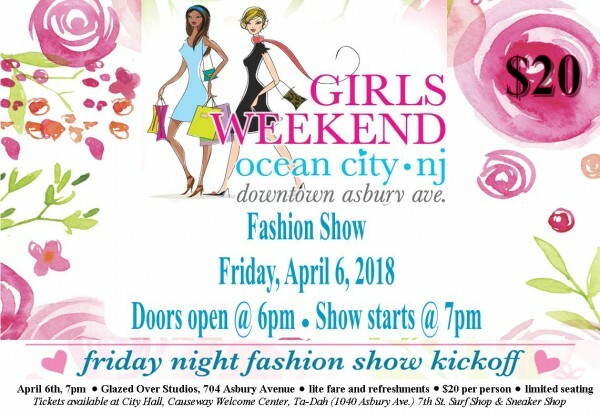 A limited number of tickets for the Fashion Show are available for $20 each and they can be purchased in person at the Roy Gillian Welcome Center, City Hall (9th & Asbury), Ta-Dah (1040 Asbury), 7th St. Surf Shop, & Sneaker Shop or by calling (609) 399-1412. 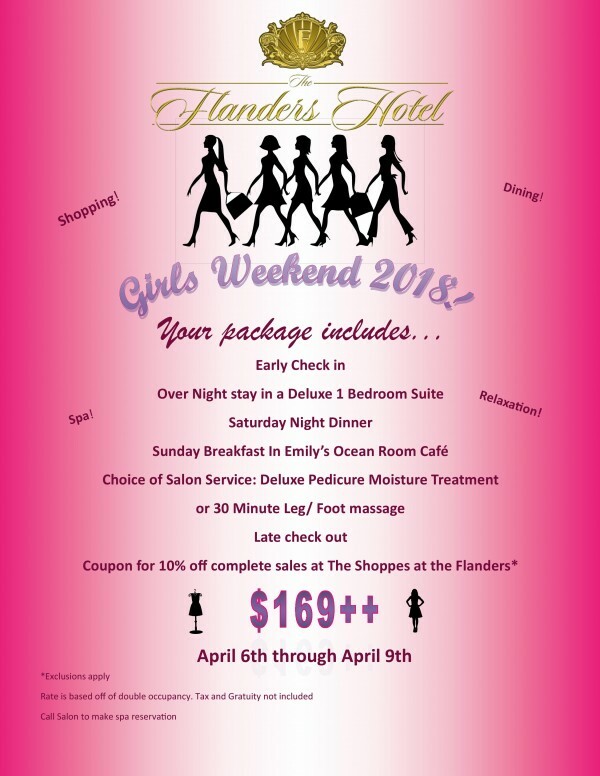 For more information on Girls Weekend, call 1-800-BEACH-NJ or 609-399-1412. 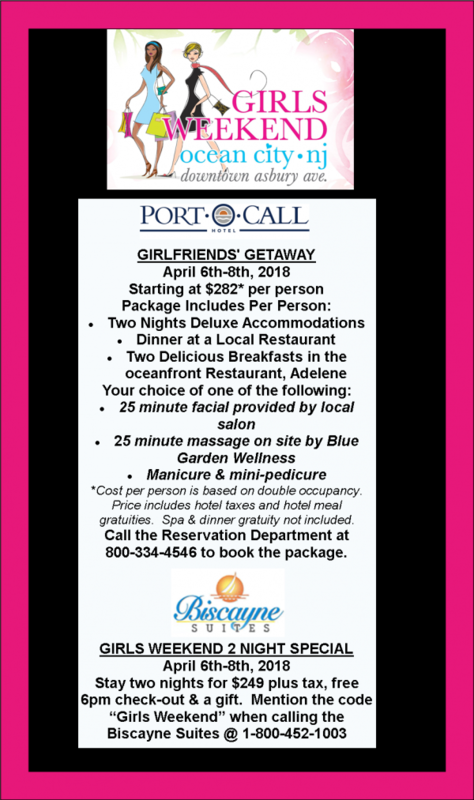 #OCNJGirlsWeekend2018 Visit the Facebook Event Page for the most up to date information on Girls Weekend 2018!